Nearly everyone seems to agree that additional investments need to be made in Missouri’s aging infrastructure. Where the disagreement begins, though, is in considering how to raise the money. In an 87-page report released on Jan. 1, the 21st Century Missouri Transportation Task Force, a 23-member group of lawmakers and industry experts, made a number of recommendations for improving the state’s nearly 34,000-mile highway system and more than 10,000 bridges, including an increase in the state’s gas tax. The group’s recommendation with regard to the tax was to increase it by 10 cents for gasoline and 12 cents for diesel fuel. The gas tax is a flat, per-gallon amount collected on fuel sold within the state; it does not change with the fluctuating prices of the fuel itself. The task force’s report estimates that the proposed increase would generate an additional $430 million annually to go toward transportation projects in the state. But not everyone agrees the state would see a benefit from an increase in the tax. Bryan Hoffman, who works exclusively in Missouri as a union carpenter but lives north of Frontenac, Kan., said he currently buys gasoline only on the Missouri side of the state line because it often costs less. According to the American Petroleum Institute, Missouri has the fifth-lowest overall gas tax in the nation, at 17.3 cents per gallon. The same organization says Kansas’ tax is 24 cents per gallon, meaning the 10-cent increase would likely make fuel more expensive in Missouri than Kansas. Hoffman said he supports spending more on the state’s infrastructure, but he suggested raising personal property or sales taxes as a more effective way to fund the projects. Jake Lawver, 36, runs Action Moving, a moving company in Joplin. It operates within a 700-mile radius, and most of its expenses come from gasoline, Lawver said. On the one hand, he said his company needs quality roads. But an increase in the gas tax would cut into his bottom line. “It’s just another thing I’m going to have to charge to the customer,” he said, explaining why he likely would vote against the tax should it come to a public vote. Carthage native and Sarcoxie resident John Hornback said he believes an increase in the gas tax would damage the economy because of its potential ripple effects. Executives at the local trucking company CFI said infrastructure improvements would benefit both private companies and the public, but they agreed that residents would likely feel the effect of an increased gas tax twice — once at the pump and again on goods. A 1980 amendment to the Missouri Constitution commonly referred to as the Hancock Amendment limits the amount that the state Legislature can raise taxes without a statewide vote. The amount proposed by the task force would have to be approved by voters, but lawmakers estimate they could increase the tax by approximately 2 cents per gallon without violating the Hancock Amendment. State Reps. Charlie Davis, R-Webb City, and Bill White, R-Joplin, agreed that improvements need to be made to the state’s infrastructure. Davis said he considers it likely that the Legislature will put the recommended increase before voters. Where the two lawmakers disagree is their willingness to vote for legislation that would raise the tax at the threshold allowed under the Hancock Amendment. Davis said he “100% “ believes any increase should be subject to a vote. White said he would potentially vote for the hypothetical increase of roughly 2 cents per gallon if voters reject the larger proposal, saying an up-to-date road system is important for the state’s economy. City officials recently told state legislators about road projects they say are needed in the Joplin metropolitan area. Hertzberg said that at the top of the list is the widening of Interstate 44 to six lanes, three in each direction, from the state line to Springfield, and construction of the West Bypass. That is projected to cost $163 million. City officials say it would decrease drive times and increase safety along the route that a state study has shown has reached capacity and does not comply with modern safety standards. The West Bypass has long been envisioned as a route to connect Missouri Highway 171 to Interstate 44 as well as provide a more direct link to Joplin from Kansas and Oklahoma highways. It is seen by the city as a key element to future economic development, including commercial and industrial expansion. Cost estimates put it at $162 million. The widening of Missouri 171 is also a priority. 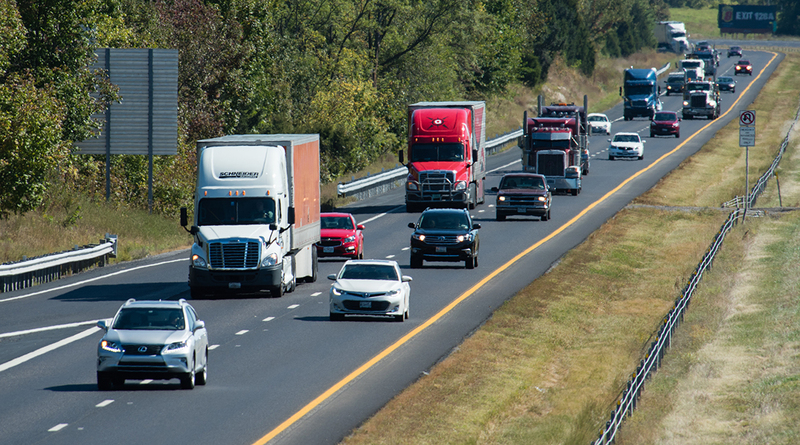 It, too, needs more driving lanes, as it connects Carl Junction, Joplin, Webb City and Carthage. It could cost $50 million. Inside the city, Joplin would like money spent on state routes such as Main Street, where streetscaping is desired between Eighth and 15th streets to connect with projects already done south and north of there. The city estimates the cost for those blocks at $3.5 million. The city also would like the state to pick up some of the cost of installing sidewalks where they do not exist now along the length of Range Line Road, a state route, and for repairs of Seventh Street, which also carries a Route 66 designation. Globe staff writers Koby Levin and Debby Woodin contributed to this report.